The SR Series Submerged Recovery Industrial Vacuum Cleaners are designed specifically to vacuum highly combustible debris such as energetic products, rocket propellant, shaped charges, gun powder and reactive metal powders. These industrial vacuums can also be used to collect "pyrophoric" dusts which are capable of igniting spontaneously. The SR Series are ATEX tested and certified. 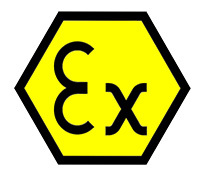 ATEX or “Atmosphères Explosibles” is a Nationally Recognized testing Laboratory (NRTL) providing a set of directives and standards as set by the EU for controlling explosive atmospheres with the goal of improving the health, safety and protection of workers. 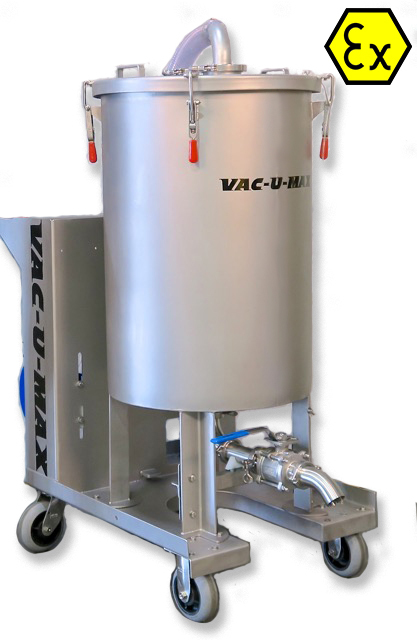 System runs on compressed air, designed in anti-sparking stainless steel, with dispersion screen and splash baffle that renders explosive powders inert by drawing debris under liquid with exteneded inlet assembly, safely separating debris from air stream. Unit design features cart-type dolly fabricated in 304 stainless steel, with 6" static conductive casters for easy mobility. SR Series feature a 2-inch sanitary stainless steel drain valve and 90-degree discharge elbow. Cover assembly includes hold down clamps, stainless steel anti-sparking inlet with Tri-clover sanitary connection. The SR Series feature a static conductive PTFE (teflon coated) internal filter and grounding reel. 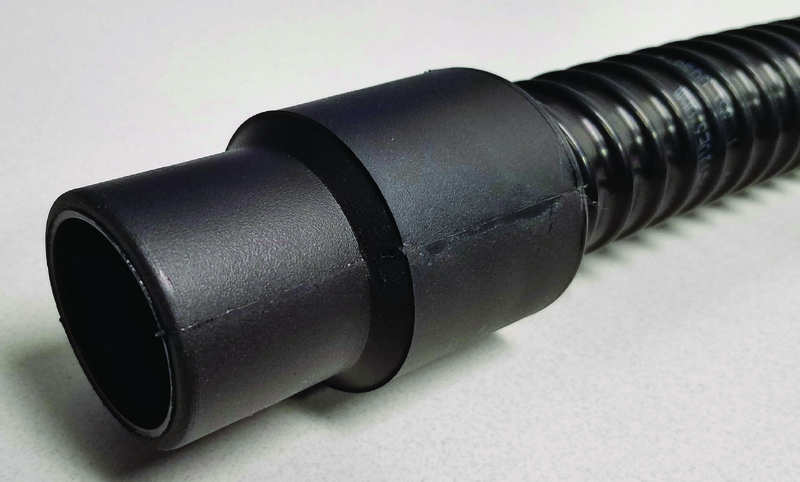 ATEX-Certified Static Conductive Hoses with smooth bore and spring steel grounding wire.